With Mother's day fast approaching it's time to start tracking down a special gift to spoil our Mum's with. There's such a wide choice out there and it's easy to struggle with what to buy, which is where Toxic Fox comes in. Toxic fox are an online retailer that makes life so much easier when it comes to buying a gift. From Birthday's to wedding's and even Mother's day everything is categorized to make finding the perfect gift even easier. There's the much loved Clairebella bag, Typography of Love frames, canvases, and even personalised gifts - a personal favourite. There's so many amazing and thoughtful gifts to choose from. Above are a selection of my favourites from tea for 2, pamper sets and even sweet treats. I already own a Claireabella bag (thanks to Toxic Fox) and it's such a cool, personalised gift. The quality is amazing and it will look really quirky and different on the beach this Summer. I'm a huge fan of the Typography of Love frames. They really are a thoughtful gift that have meaning and are quite sentimental. Toxic Fox have a great variety of gifts to choose from starting from just a few pounds. There's something to fit everyone whatever your budget. 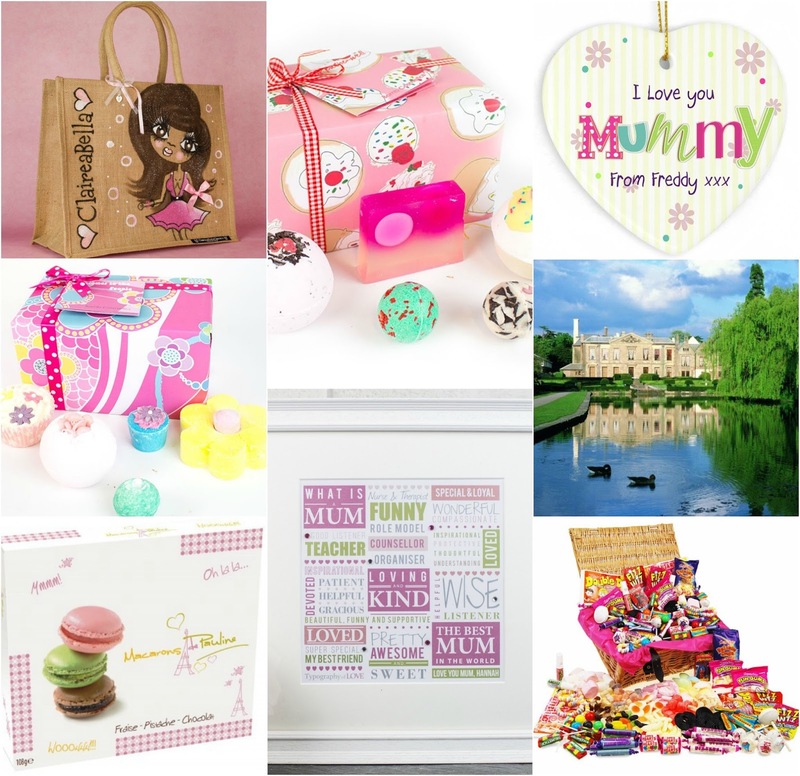 On the Mother's day section there's individual categories that will help you find a gift that suits your own Mum's personality. I like a mixture of gifts from each category with My Loving Mum and My Beautiful Mum being my favourites. I love gifts that are meaningful and always go out of my way when it comes to personalising a gift. I find it's always sentimental to the receiver and quirky, plus you know for sure that nobody else will have got it. I've teamed up with Toxic Fox to get the word out about their latest giveaway. And it's a good one. 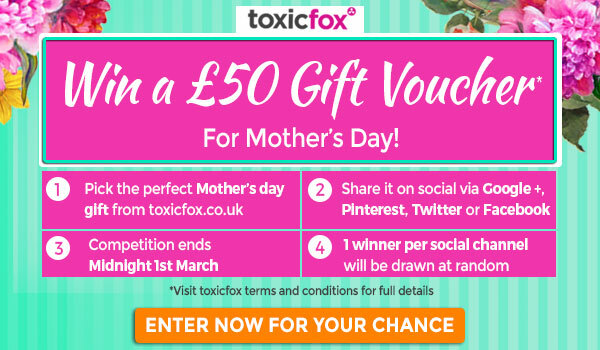 This Mother's day Toxic Fox are giving you the chance to win a £50.00 voucher to spend on the Mother's day collection. Whether that's helping you get your Mum an amazing gift, spending it on yourself or both, the choice is yours. All you have to do is head on over to the Mother's day collection and pick your favourite gift and share it on a social media channel of your choice. It could be Google+, Twitter, Facebook or Pinterest - or all 4 if your a social butterfly. There's 4 chances to win. To ensure Toxic Fox see it just use the hashtag #toxicfox. See full terms and conditions here. The competition starts today 18th of February and ends on the 1st of March with winners being announced on the 2nd. If you can't wait to treat yourself or have an important Birthday coming up you can have 10% off now with the code TFMother. Valid until the 15th of March.